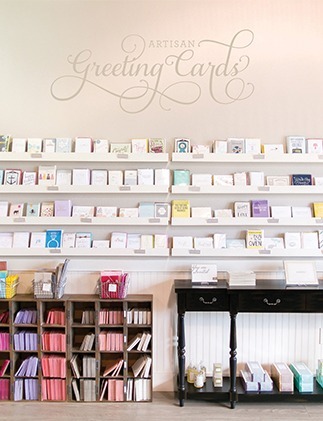 Lacey and Danny came to Paper and Home wanting some fun and lavish wedding invitations. We collaborated with them to make it happen. 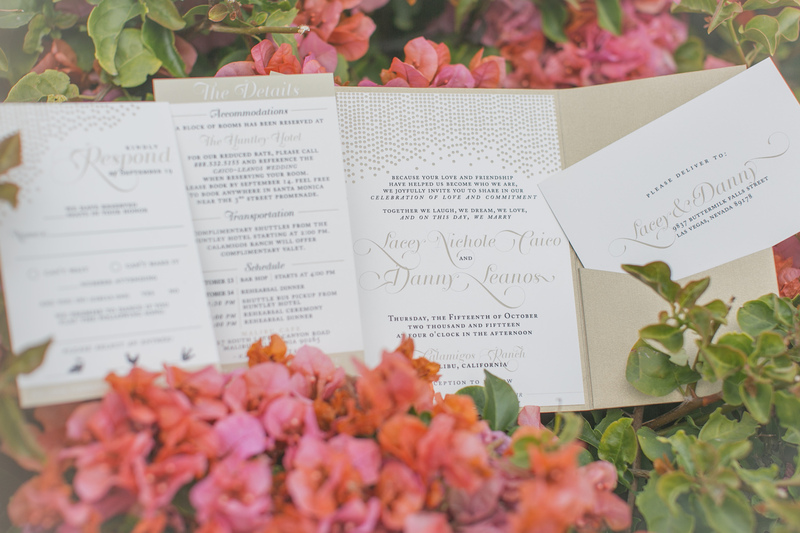 Their gold pocket invites perfectly set the tone for a entertaining wedding weekend in sunny Southern California! 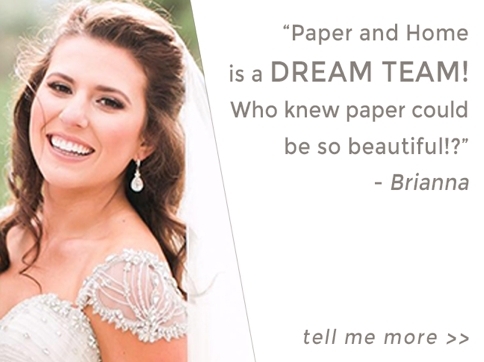 The couple was drawn to the Heather Collection from our ready-to-order wedding invitation album. The festive gold dots were perfect. Lacey and Danny switched it up and incorporated a font from our Ashley Collection for their names. 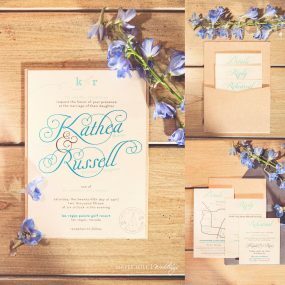 We love it when clients mix-and-match from our album! The font choice added a touch of elegance to the design, while keeping the modern feel. 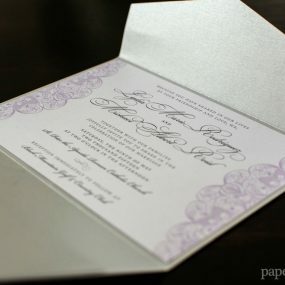 The invitation card was mounted to a trifold gold shimmer pocket. Inside the pocket, Lacey and Danny had a reply postcard and two-sided details card. On one side of the details card, the couple listed out the schedule, accommodations, and transportation info. On the other side (not shown), they had an awesome map! What makes this map so awesome you say? The night before the wedding, this crazy couple arranged a good ol’ fashioned bar crawl for their guests. Tons of fun! You’ll have to swing by the studio to see it in person, you’re gonna love it! 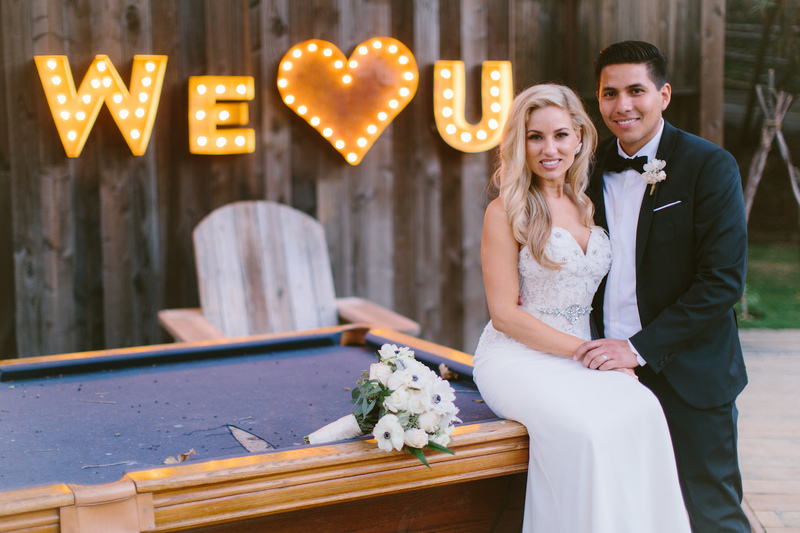 Lacey and Danny were married at Calamigos Ranch in Malibu this past fall. 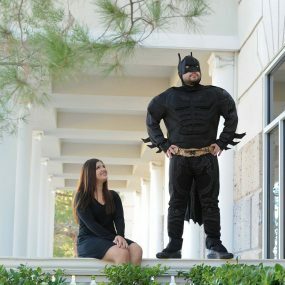 These excellent photos are courtesy of their wedding photographer, Ryan Calendio of Burgundy Blue.